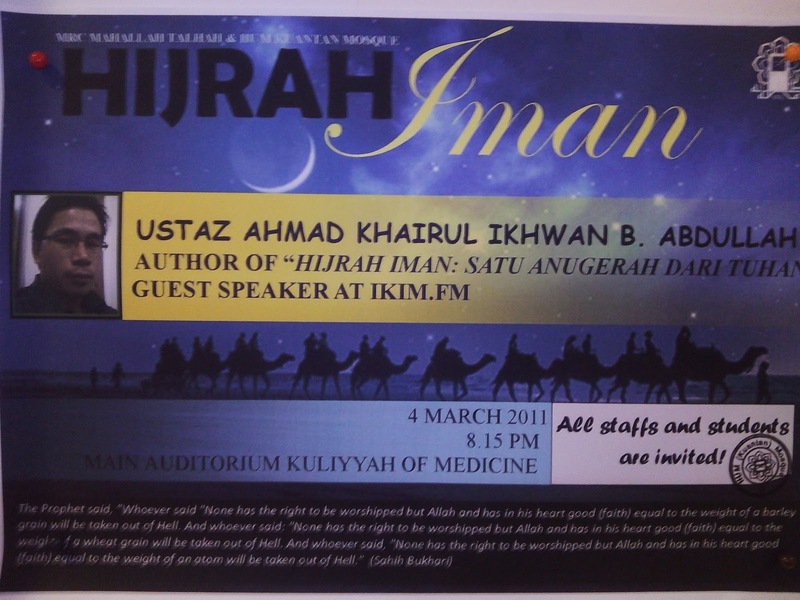 For your information the talk's title is also the title of his book "Hijrah Iman". And he also frequently appears on IKIM.fm radio. What attracted him towards Islam? What was the reason he finally decided to say "La ilaha illallah, muhammadur rasululullah"? "One of the things most liked by prophet Muhammad saw (sunnah) is going to talks of knowledge"
Isn't talks of knowledge one of the heaven's gardens (on earth)? Weirdly enough are those who want so badly to enter paradise...but do not even wish to visit the gardens of paradise..? 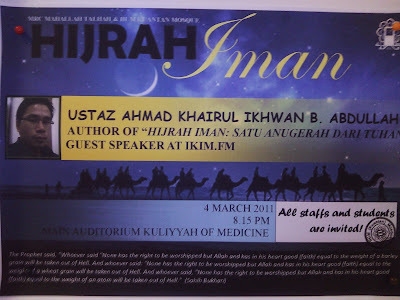 Come, let's take a whiff of the sweetness of its gardens...may it guide us to the real and eternal sweetness of Jannah..